One of our best vacations ever was a cruise vacation…but that was before we had kids. I sometimes wonder if and when it would be appropriate to take the kids on a cruise vacation. The travel company who we booked our cruise with was incredible and I often recommend them to friends. VacationsToGo has great prices and the service is immaculate. They have compiled information on all of the programs and services available for kids (ages 2-17) by each cruise line. What a great resource! Posted in Travel, Useful Info. Vacationstogo.com is an amazing (American) online travel agency which I have personally used. I was really impressed by their unbeatable prices and outstanding level of customer service. Over the years, I have continued to enjoy their newsletters about different resort travel destinations and cruise trips. I had to share this part of their latest newsletter about the best resorts for families since so many families are booking their Winter vacations. Enjoy! “The 63-acre Aquaventure waterscape offers nonstop fun at Atlantis in Paradise Island, Bahamas, with thrilling waterslides, a mile-long river ride and special effects. Atlantic Kids Adventures, or AKA, keeps guests ages 3 to 12 busy, while Club Rush offers an evening hangout for teens ages 13 to 17. Cooks@Play offers culinary projects for kids, while the Earth & Fire Pottery Studio lets them custom-decorate a special souvenir. In Jamaica, Franklyn D. Resort was made for families with young children. Guests are assigned a “vacation nanny” who will look after the kids. This service is complimentary from 9 a.m. to 4:40 p.m. and evening babysitting is available for a fee of $6 per hour. The Beaches resorts in Jamaica and the Turks and Caicos also are designed to please young guests. Little ones can meet favorite Sesame Street characters and older kids can join scavenger hunts, hang out at the soda bars, play Xbox games or enjoy karaoke nights at their own club. There’s also a nursery for tots up to 23 months old. Almond Resorts has four kid-friendly properties in Barbados and St. Lucia. Babies up to 23 months are cared for in the nursery, while children at the Mini Club (ages 2 to 4) and Kids Club (ages 5 to 12) have fun with pool games and movie matinees. Teens ages 13 and up mingle with their peers at beach cricket matches, pool volleyball games and dance parties. The Explorer’s Club for Kids at Dreams Puerto Vallarta Resort & Spa on Mexico’s Pacific Coast offers daily activities based on science, nature and exploration. The program, which is designed for young guests ages 3 to 12, also includes movies on the beach and weekly campouts. On Mexico’s opposite coast in Playa del Carmen, the children’s club at Sandos Playacar Beach Resort is open from 10 a.m. to 10 p.m., with supervised programs divided into groups for ages 2 to 3, 4 to 7 and 8 to 12. There’s a teen club for the 13-to-17 set (it’s open until 11 p.m.) and a separate pool for children. Also in Playa del Carmen, Azul Fives Hotel offers the Azulitos Kid’s Club for guests ages 6 months to 12 years with a Fisher-Price play space for younger children and a My Gym Center with ropes, parallel bars, trampoline and other equipment for the older set. Strollers, monitors, baby bathtubs and bottle warmers are available for loan here. Melia Caribe Tropical in the Dominican Republic offers Flintstones-themed clubs and activities for its young guests. The children’s program is sectioned into three groups: ages 4 months to 4 years, ages 5 to 8 and ages 9 to 13. Family Junior Suites have bathrooms equipped with special perks for kids, like a small step stool for the sink and an amenity kit with bubble bath, soap and a floating toy. Don’t hesitate to book with Vacationstogo.com. They are fantastic and as you can see, they KNOW a whole lot about travel. 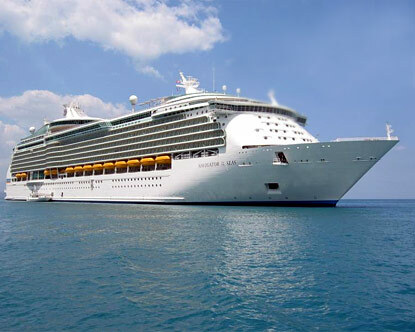 On their website, you will also find information about the best cruises for families. If any of you are going on a rail trek within Canada, Via Rail is offering select trips for 60% off . Book by April 25th. Save 15% when you pay with your Visa card. Travel from April 12 to June 18, 2010 and enjoy extra savings on flights within Canada and to the U.S., including Hawaii. To get your exclusive discount, use this promotion code: QCB7UHR1. Offer ends March 15th, 2010. More info. Posted in Coupons, Deals, Travel. Mamapicks is dreaming of Paris in the Spring. If you know someone who is Europe bound, Air France is having a great sale and there is a $60 off coupon code on top of that. Air France has many great destinations other than Paris and this sale includes Toronto, Montreal & Ottawa departures. Book by February 20th for travel until Sept. 5th. Use Advantage Code: EB10670. I’ve decided to re-publish some goodies from 2009. Even I wish that I remembered this one for our recent trip to California since the entrance to Disneyland is absolute financial suicide. If your travel plans include a trip to a city in the U.S.A., a Costco city pass is a great money-saver. Available online for places such as Southern California, New York, Chicago, Boston, and more. A youth/adult city pass is good for 9-14 days depending on location and gets you in to many of the most popular attractions for less. Posted in Activities & Events, Deals, Ideas, Travel, Useful Info.